Best Mountain Views of Glacier Park, West Glacier! One Mile From Glacier Park! 6 places to take a selfie in Glacier National Park. Opens in a new window. 5 reasons to unplug in Montana. Opens in a new window. 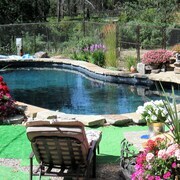 The people were extremely courteous and friendly. Food was tasty and appropriately priced. Where to find West Glacier hotels near an airport? Where can I find hotels in West Glacier that are near tourist attractions? Should you decide to visit West Glacier, be sure to pre-plan, because there's not a wide range of lodging choices near West Glacier's downtown. 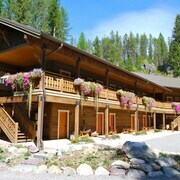 The Historic Tamarack Lodge & Cabins, Montana, which is the closest hotel, lies 30 kilometres (20 miles) from downtown West Glacier. Alternatively, try the Many Glacier Hotel, located in Montana, which is 20 kilometres (14 miles) away. 6 kilometres (3 miles) from the center of West Glacier, is the Lake McDonald Lodge. 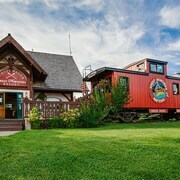 The Swiftcurrent Motor Inn and Cabins is situated 20 kilometres (13 miles) away. 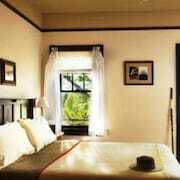 Alternatively you could book a room at the Glacier Guides Lodge or the Village Inn At Apgar. Interested in seeing more of the lakes this area features? 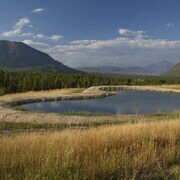 Why not book a few nights in some of the other parts of Western Montana? Spend time snowboarding, skiing and cross-country skiing or make a trip to the region's attractions. Comfortable hotel options are available. 60 kilometres (38 miles) away from West Glacier you'll find Kalispell, where you can explore Conrad Mansion and Hockaday Museum of Art. Should you wish to spend a night or two in Kalispell, check out the Holiday Inn Express Kalispell and Homewood Suites by Hilton Kalispell, MT. Or, you could consider staying in Columbia Falls, 40 kilometres (24 miles) to the southwest of West Glacier, where you can choose from the Meadow Lake Resort and Western Inn-Glacier Park. The Meadow Lake Golf Course and House of Mystery and Montana Vortex are just some of the more popular attractions to see in Columbia Falls. Get your sports fix by making a trip to Stumptown Ice Den, which is 45 kilometres (27 miles) to the southwest of West Glacier. 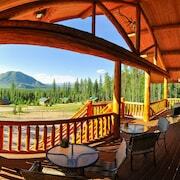 Sleep right near the action at the Lodge at Whitefish Lake or the Grouse Mountain Lodge. West Glacier offers some great scenic and cultural attractions; discover more by spending a few minutes at Expedia's West Glacier travel guide. What are the most popular West Glacier hotels? Beautiful log Cabin in West Glacier, Next Door to Glacier Park & Flathead River! Are there hotels in other cities near West Glacier? 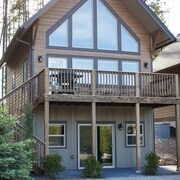 What other types of accommodations are available in West Glacier? Explore West Glacier with Expedia.ca’s Travel Guides to find the best flights, cars, holiday packages and more!